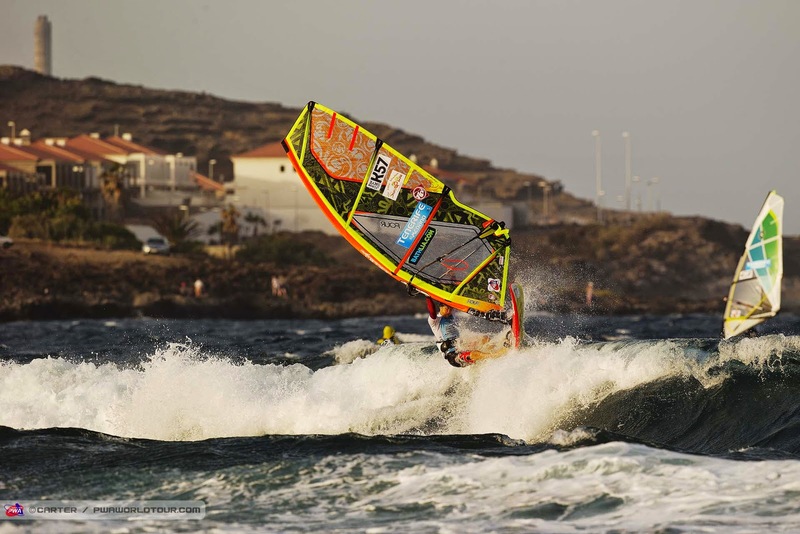 Just got back from the Tenerife PWA World Tour wave event. I finished 13th. Not great, but also could have been worse. It means I sit in 8th overall for the year at the moment, but with potentially 4 more events to come, a lot can happen. In the single I lost out to Klaas, who then went on to finish 4th in the single. Then in the double after advancing past Ben I met Moritz Mauch. I beat him in Pozo 2 weeks ago, but he got his revenge here. He had an 8 and a 9 point wave to count and didn't even need to do a jump. Bit embarrassing really, but good to see him putting some great heats together. His riding style is one of the best on the tour already and he is only 17 I think! Now finally I have a couple of weeks at home before the Autumn goes nuts again.